Northern Culture Museum, a part of The Ito Estate, the former home of one of welthiest landowners; the Ito family. “A family, which started out as farmers on the west bank of the great Agano River, which flows across the Kanbara Plain in Echigo, grew richer from farther to son until eventually they build up an enormous fortune and became the greatest landowners in Echigo. The family’s name was Ito. Irori, The Hearth, At the time 50 employees worked here. 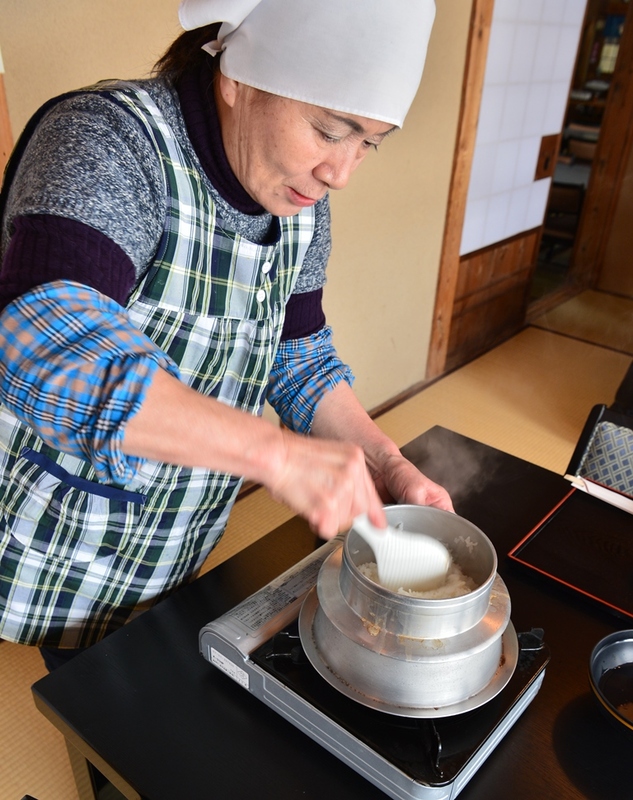 and every morning 60kg of rice had to be boiled on the kitchen range. 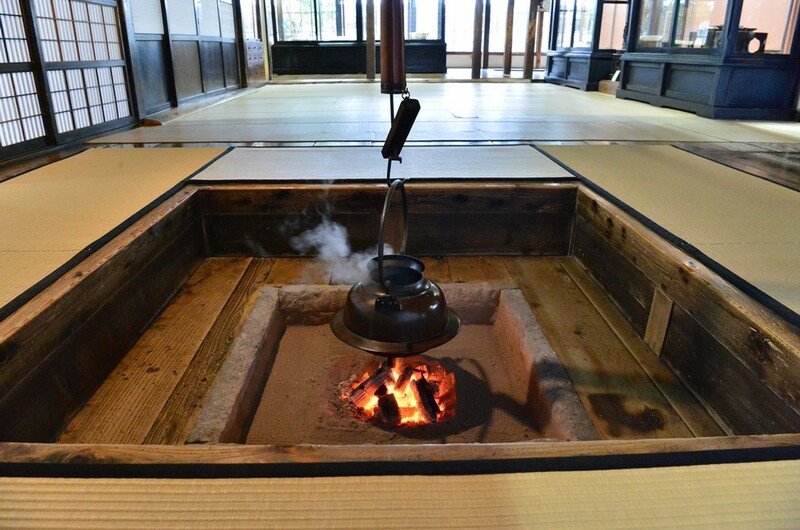 The Hearth is 1.8 square meter and as many as 16 people can sit around at once. During the Meiji Period, the family gradually acquired more land. In their heyday they owned fields covering 3400 acres spread over one city, four districts and 64 towns and villages. In the showa Period they were the most prosperous farmers in Niigata Prefecture with an annual rice harvest of over 30,000 bales. However times wer changing and the post-war land reform act meant that these lands wer taken out of the Ito family’s possession. 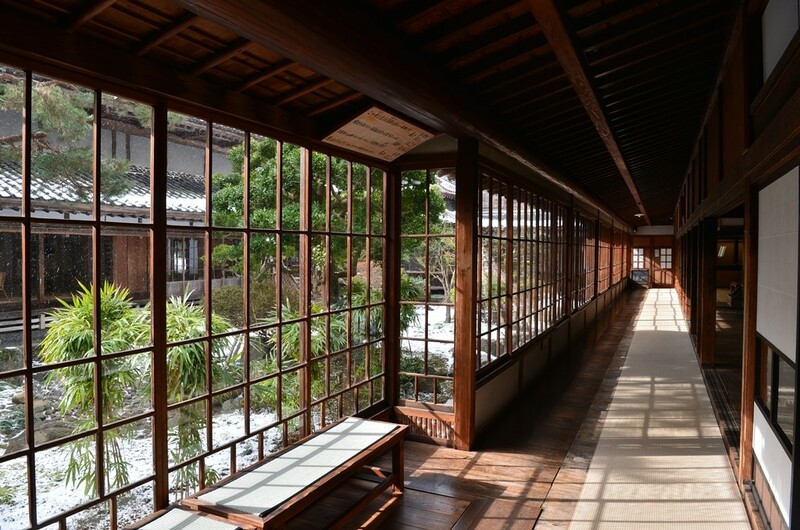 The magnificent residence, a pure example of traditional Japanese architecture, was constructed over a period of eight years starting in 1882. THe grounds occupy a area of 7 acreswhile the house itself has almost 1 acre of floor space and no fewer than 65 rooms. 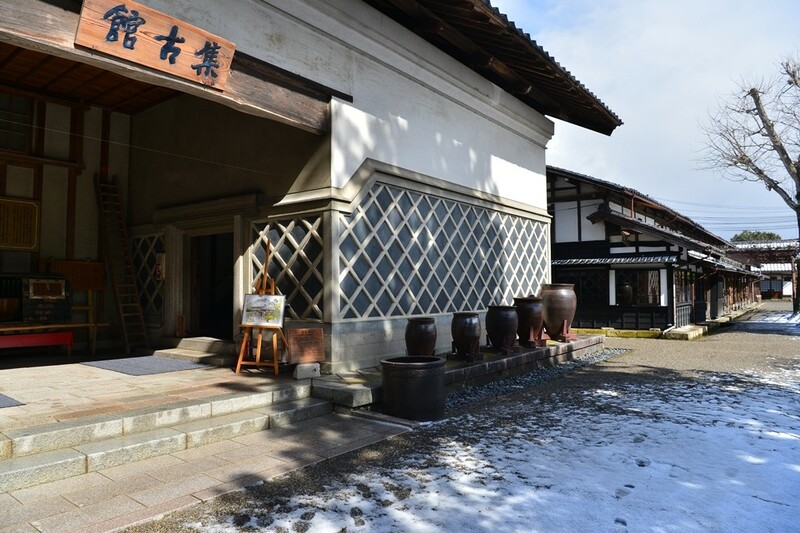 At the peak of the Ito family’s wealth, over 50 employees worked hre and about 60 kilos of rice was presumably cooked here daily for the 12-13 family menbers. The size of the kitchen is 70 tsubo(231 square metar) . In the west end of the kitchen there is a huge stone hearth where the meals were cooked. 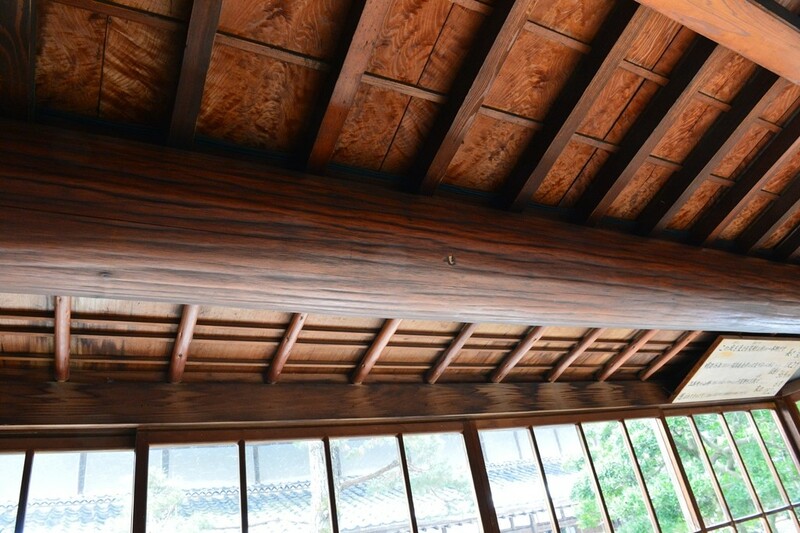 One of the impressive features here is a rare log of Japanese ceder used as a beam beneath the roof of the veranda. This 30-meter-long log and those used as beams in other parts of the building are said to have been cut down in a deep forest in the Aizu district of the neighboring prefecture and floated down the Agano River to this village. The sub-drawing romm, One quite impressive feature here is a rare log of Japanese cedar used as a beam beneath the roof of the vetanda. This 30 meter long log and those used as beams in other parts of the buildings are said to have been cut down in a deep forest in the Aizu district of the neighboring prefecture and floated down the Agano River to this village. Thi is the 30 meter long log said to be brought from Aizu region. The head of the house used to receive guests in a living area consisting of three rooms in a row. 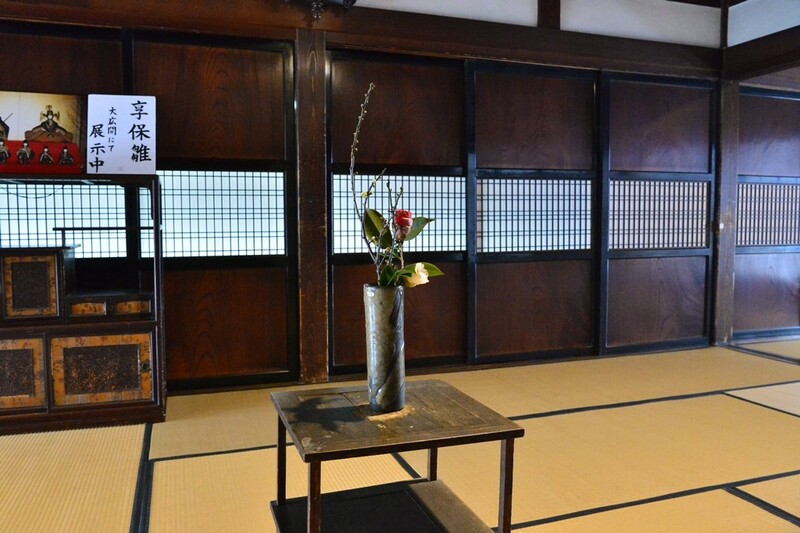 The door opens on a huge space of 27 tatami mats. 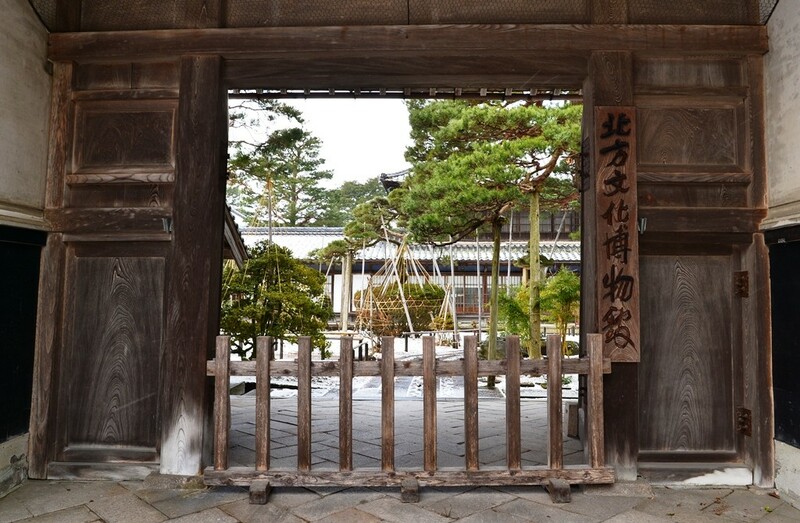 The round beam in the corridor on the sough side is made from a single Japanese cedar 100 feets long which was brought all the way from the Aizu area up the Agano River on a raft. Including the smal room next to the inside entrance hall, there are a total of three interconnected tea rooms. 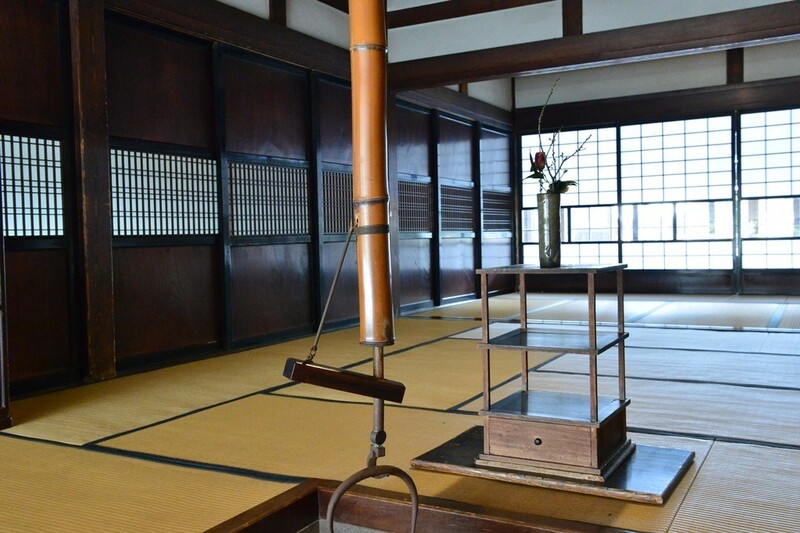 By simply removing the sliding doors it can be made into a single 37 tatami-mat room. the museum is a solemn, therapeutic space full of the strange energy or “chi” built up by the merits of the ancestors of the Ito family. The granite on which the reception room looks out seems to give off particularly good vibrations. There are many so called power spot in Northen Culture Museum, this stone is the one of them and is the most powerful one. 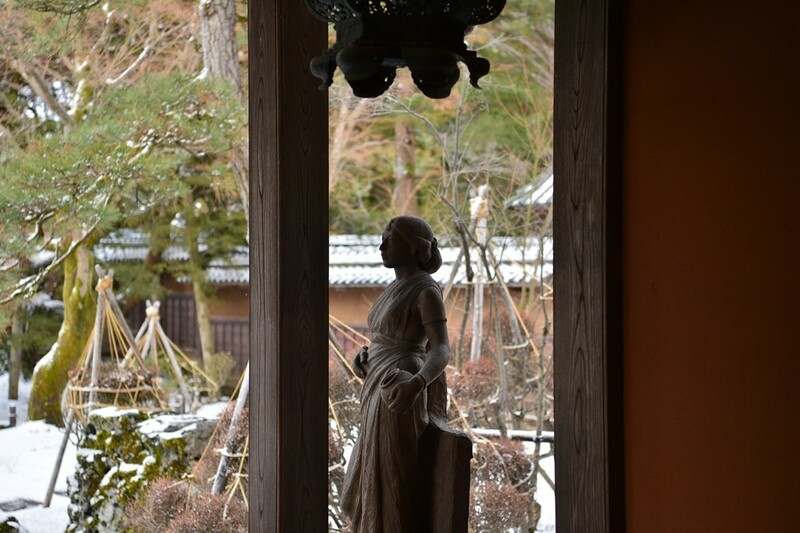 The zashiki, looking out on the beautiful garden,was used several times a year for important ceremonial family occasions, weddings, funerals and so on. 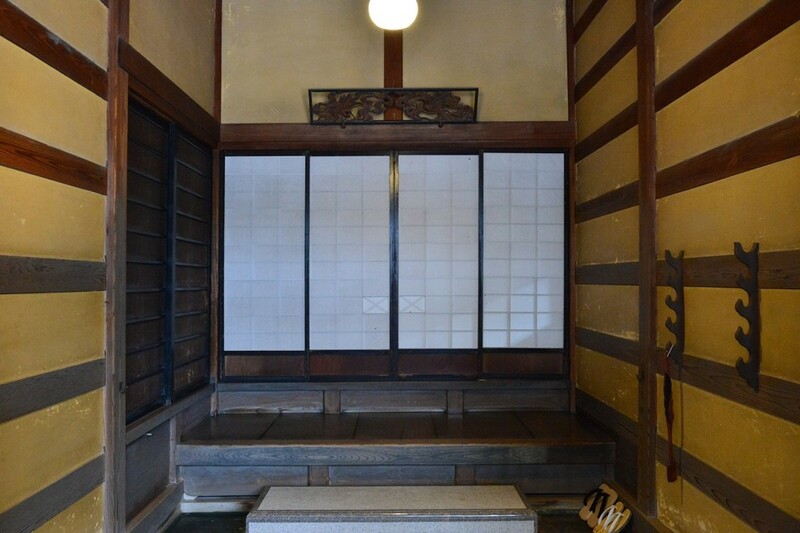 The pillars, ceiling, steps, and door of the vestibule are all made of Japanese zelkova wood; indeed the door and the steps leading up to it consist of a single plank. From the shutter cas for folding away no fewer than 26 storm shutters to the corridor surrounding the zashiki constructed with a hanging transom and no pillars, every feature of the zashiki is sumptuous sparting no expense. 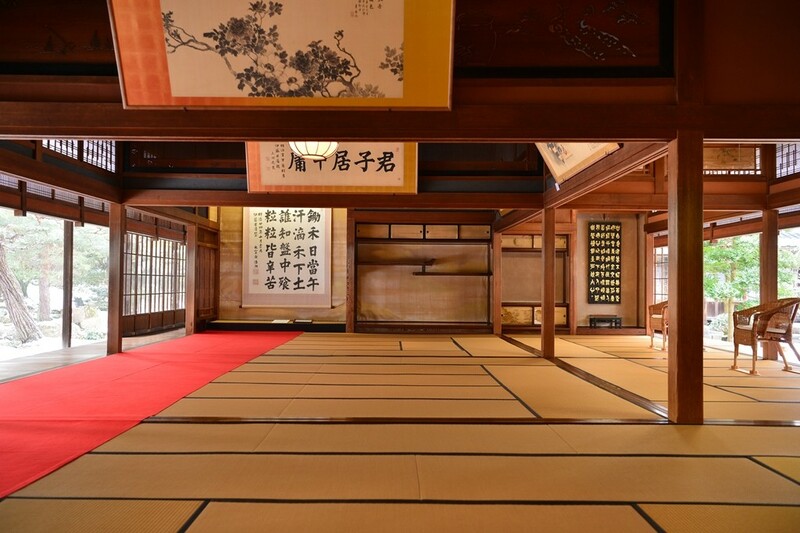 It consists of seven rooms including the tokonoma or decorative alcove and the floor is covered with 100 tatami mats. 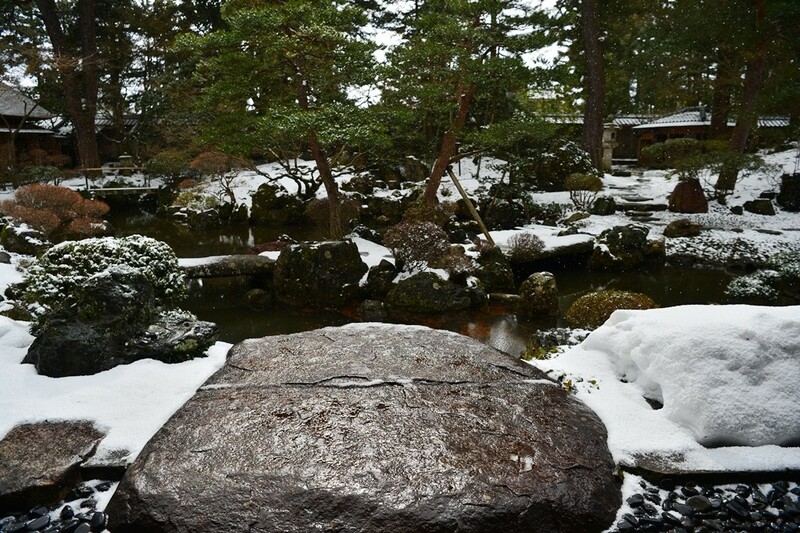 The garden, in the ancient style of the Kamakura and Muromachi Periods, with a central spring and unuseal stones from diffrentr regions, is in the so-called”walkaround” style. FIve te houses are dotted about the garden and these, together with the beautiful green moss, enhance the graceful landscape. 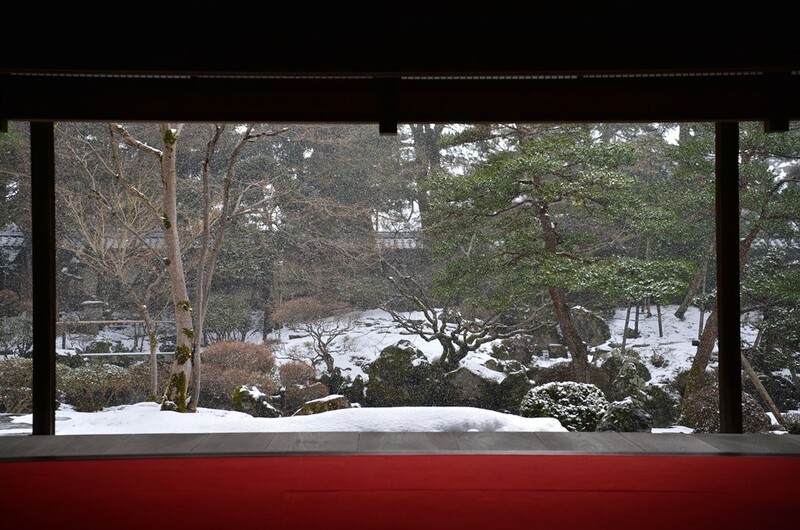 The garden was created over a period of five years by Taiami Tanaka, a landscape gardener noted in connection with the Ginkakuji Temple in Kyto, and originally from Kashiwazaki City in Niigata Prefecture. The landscape garden lies to the south of the main drawing room. 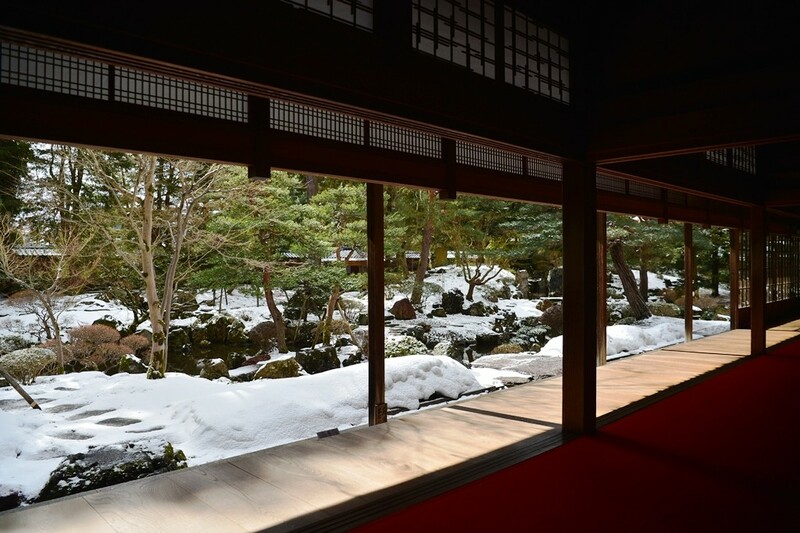 It is a “walking” garden laid out in the traditional style of the Kamakura and Muromachi periods(11th – 13th century). This beautiful building, with whitewashed earthen walls and tiled roof, was originally a rice storehouse with room for 2,000 b ales of rice. 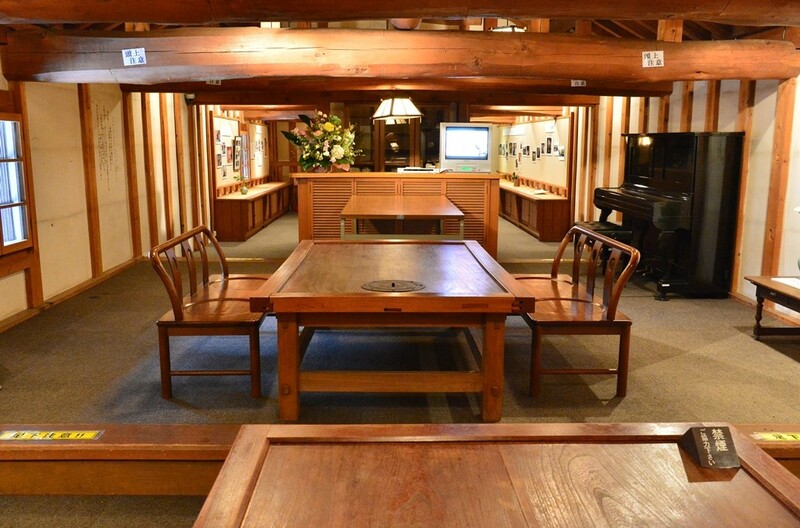 Now it is used to display the works of art collected over the years by successive generations of Ito family. Shukokan, This buiulding, once used as a rice warehouse, is glistening white in colour beautifully decorated with tiles made of clay. Collections displayed here are partially changed each seasons. There is space for small meeting as well. Traditional Japanese farmhouses from the Kariwa and Yoshigahira district of NiigataPrefecture wer dismantled and rebuilt for prosperity in the ground of the museum. 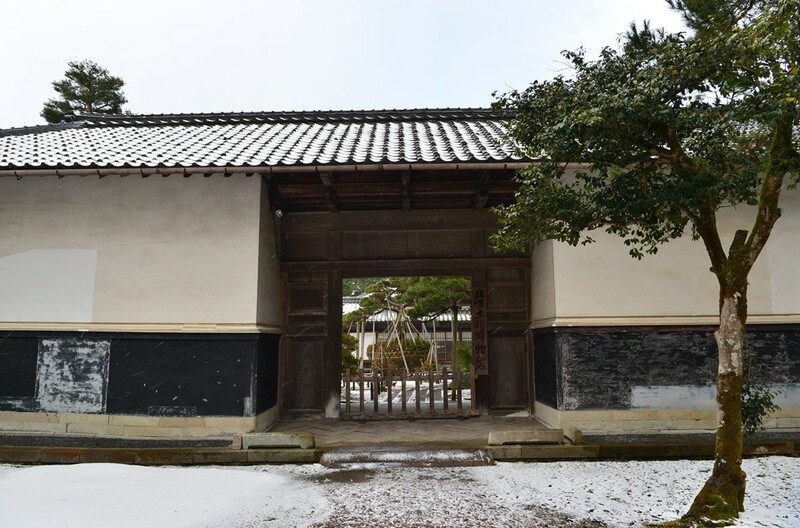 Tha Kariwa house dates from the early Edo Period and the Yoshigahira house from early Meiji. 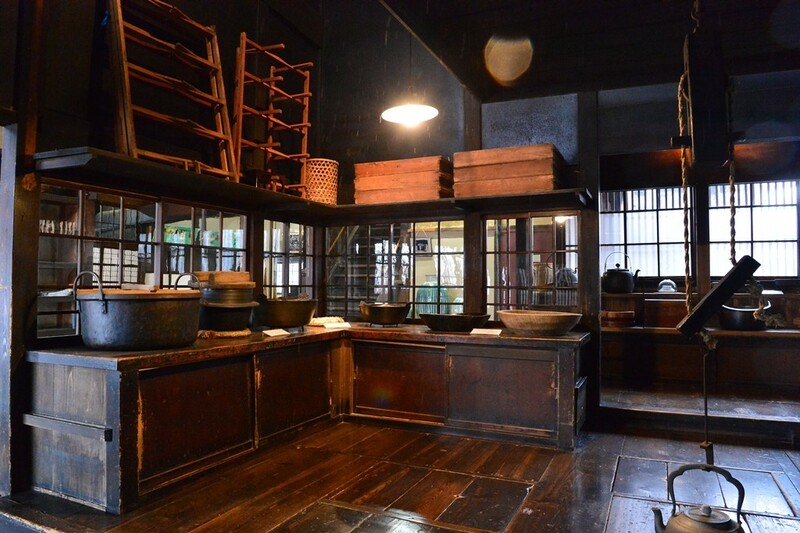 The interiors of both houses are preserved as they were when they wer built, providing a glimpse of the way of live of Japanese farmersfrom a bygone era. 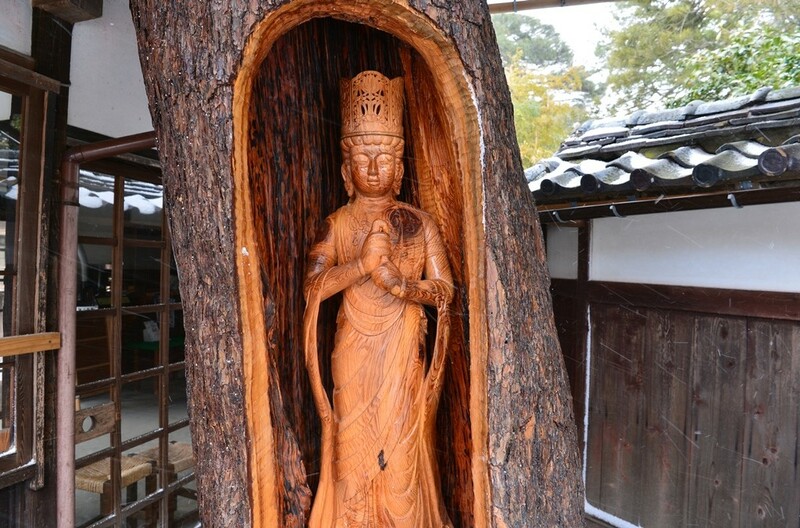 When the 350 year old red pine transplanted by the fifth BUnkichi Ito eventually withered, bis great-great-grandson the eighth Bunkichi Ito hollowed out the lower part of the pine and carved a statue of the Buddha Mahavairocana which he set up in the hollow as an offering both to the tree and to his ancestors. Serves simple buckwheat noodles much appreciated by local people. Through the big window you can view the beauty of the changing seasons, including the weeping cherry in spring. Rice is cooked at your table and served individualy. 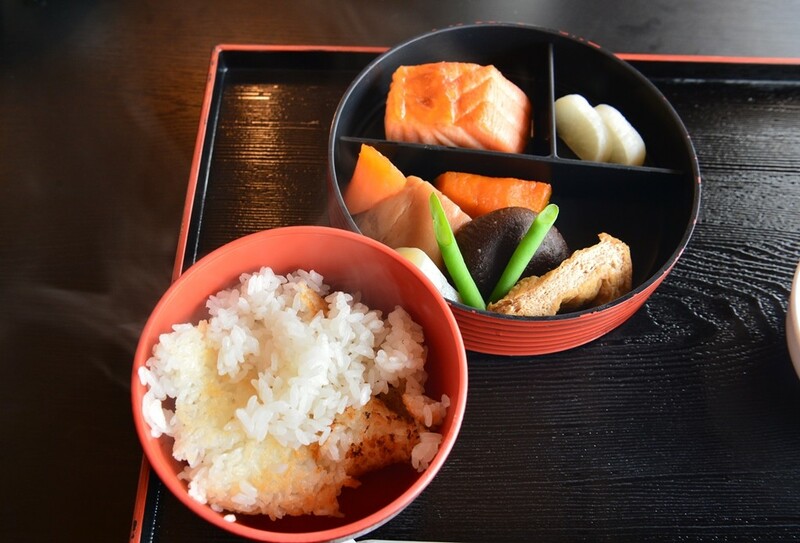 Restaurant serving local cuisine accompanied by Niigata’s own Koshihikari rice. Provides more intimate room for small parties as well as a large dining ha for up to 100 people. The view from the window of a traditional thatched house, will make you feel you have stepoped back in tiem. Reservation required. 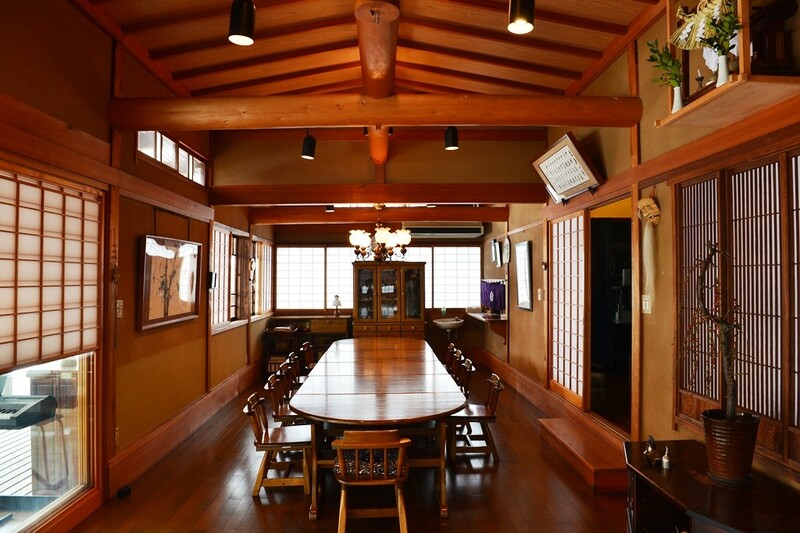 A traditional Japanese inn adjoins the museum. The 100 year old building has been renovated in keeping with the atmosphere of the peiod. The innserves locasl cuisine based on local flovors. Savor the charm of Echigo in the inn’s traditional bath made from Japanese cypress. Special Omamori, not available always because it is hand made to order one by one from old fabric kept in Ito family’s warehouse for more than 20o years. Offer a wide range of local specialties including the famouse Soumi pickles. The adjoining sake shop has a excellent selections of local Niigata sake. 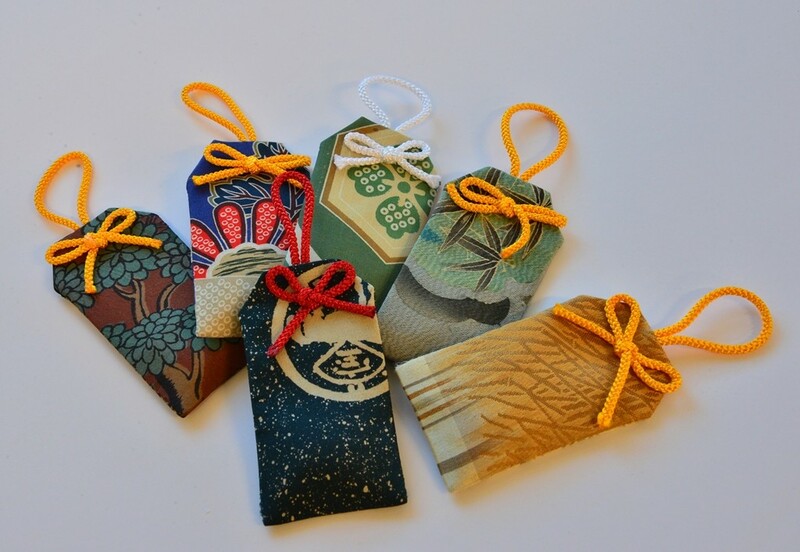 They sometimes make special “Omamori”, Japanese amulets by hand so it is not available always. But this Omamori is so special and protect you from any sort of danger. Why this is so special? 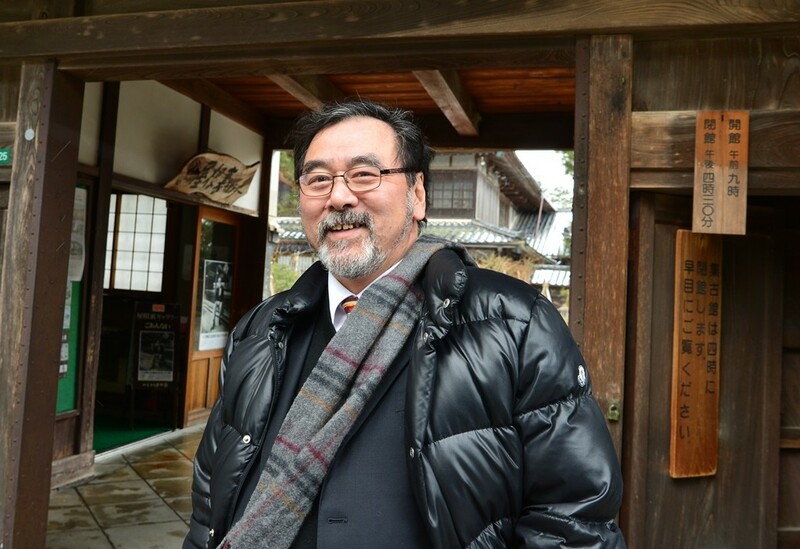 Please ask Mr. Sato who is Execitove Director and Curator of Northen Culture Museum, he is happy to tell you all the secrets.